No importa cuan grande o pequeños son, o que tan rápidos o lentos, o altos o bajos, ¡los amigos son importantes! 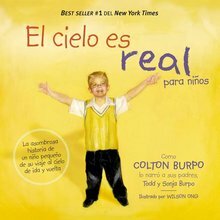 Este libro impulsa a los niños a celebrar la amistad a través de amigos un poco diferentes y rimas muy divertidas. No matter if they're big or small, fast or slow, short or tall--friends are important! This book helps little ones celebrate friendship through unlikely animal buddies and fun rhyming verses. Hi, my friend! Come play with me--though we're as different as can be! Big and small, short and tall, fluffy and prickly... these playmates of all shapes and sizes are the best of friends. Share some giggles with your little one about how fun friendships--and differences--can be!